If you have seen or own an Oral-B electric toothbrush, you may well be wondering what the purpose is of the coloured ring at the bottom of the brush head. The purpose is really quite simple. The coloured ring is put in place to tell the difference between each brush head. For example, if you had a family with a mum, dad, son and daughter, each may have their own brush head that can be used on their Oral-B electric toothbrush. The colour of the ring is what can be used to identify whose brush head is whose. Mum may have a red coloured ring, whilst Dad has a blue ring, the son green and the daughter pink. The coloured ring serves no other purpose than that. It may not apply to you but taking the above scenario, if every member of that family use the same style of brush head how would you ever tell the difference? You should always use your own toothbrush/brush head and not share as doing so can pass potentially dangerous bacteria between mouths. When you have 4 brush heads all lined up the only way to tell the difference is by the coloured ring. I have lost the coloured ring, does it matter? Yes and no. The coloured ring serves no other purpose than to tell brush heads apart, so if you are not in a family scenario like above where you need the ring to tell it apart from another brush head then do not worry. Without the ring the brush will perform no differently. Can I swap coloured rings from other brush heads? Whilst the brush head itself should be changed every three months, the coloured ring has no pre-determined life. Most will dispose of the coloured ring at the time they dispose of the used brush head, but using your fingernail you can pull the ring off and attach it to a new or different compatible Oral-B brush head. So for example, you liked the yellow coloured ring on your old brush head, but the new one has come with a blue ring. Pull the yellow one off the old head and attach it to the new one. How can I buy more coloured rings? Oral-B do not sell the coloured rings on their own. There are some third party sellers on Amazon and eBay who may sell the rings, but due to their low value and low demand they are not readily available. You will not find them at your local supermarket. Do remember with any new brush head purchase will come a coloured ring. Can I choose the colour ring on the brush head? Yes and no. When you buy a new brush head you cannot request or determine the exact colour of the ring(s) included in the pack. If buying in person you may well be able to see these through the packaging but no if you are buying online. You may choose to take a coloured ring from an old brush head or your preferred colour from the pack of heads and swap it each time you change the head. Why do other electric toothbrushes not have this? Generally speaking this is seen only on Oral-B brushes. 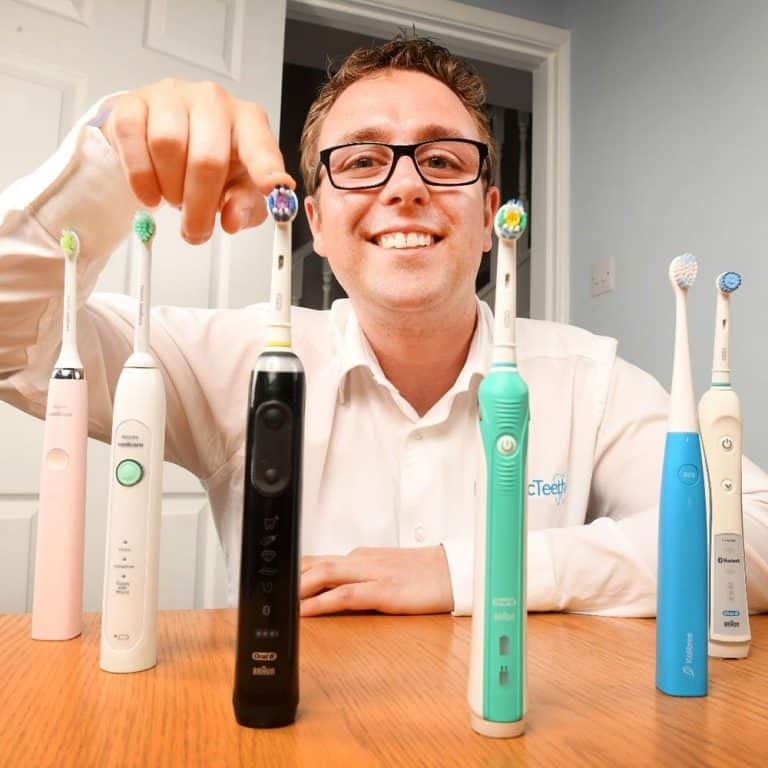 Other brands may have their own way of differentiating brush head or work on the basis that in reality, whilst it makes perfect sense to share a toothbrush handle, even in a family environment users often have one electric toothbrush each, thus the need for the coloured ring is redundant. Thanks so much for that. I am a newbie to electric toothbrushes and have had a job finding replacements thinking I need a specific colour. Lol. Now I can use all 4 recently bought from boots and not just the yellow ringed one. Thanks this tooth brush is life to me????? What model brush are you using Taniya?